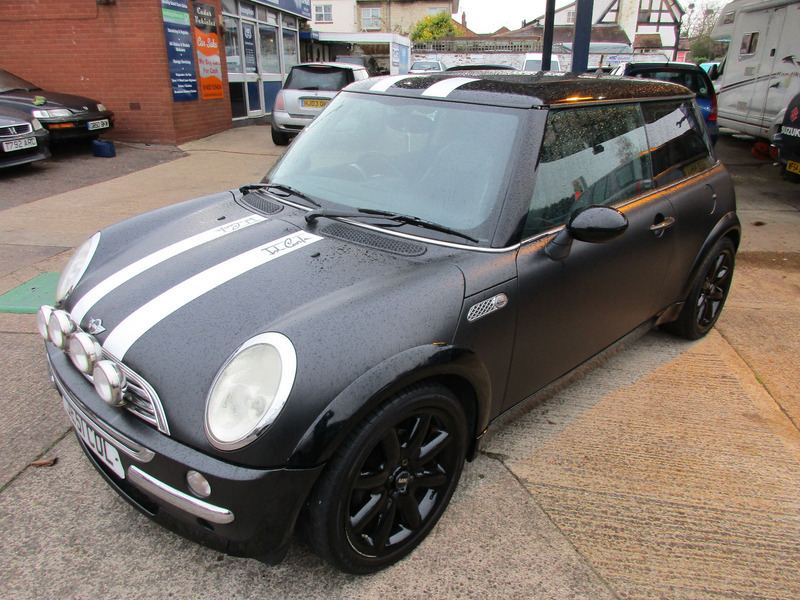 Super unusual looking Mini Cooper 2002MY with 15x Service Stamps, local car and well cared for by the local garage, replacement Recon Gearbox and new clutch @136402 miles, new radiator, 12 months MOT and serviced. As the pictures show, Fully professionally wraped, 2x recent tyres,Parrot bluetooth phone system,17" Colour coded Alloys,3x Keys Fobs,Full SRS Airbag System, 1/2 Leather Interior.Please call to arrange a test drive,30 cars in stock and changing weekly,part exchange available, full Debit/Credit card facility available. Office 01452 539424 Mobile 07813987368,Full Forecourt and Garage Services, Cedar Vehicle Sales working in partnership with HSC Service Centre.